One Flew Over The Chicken Coop! The Daily Nest: One Flew Over The Chicken Coop! One Flew Over The Chicken Coop! I have a new obsession and it's chicken coops! 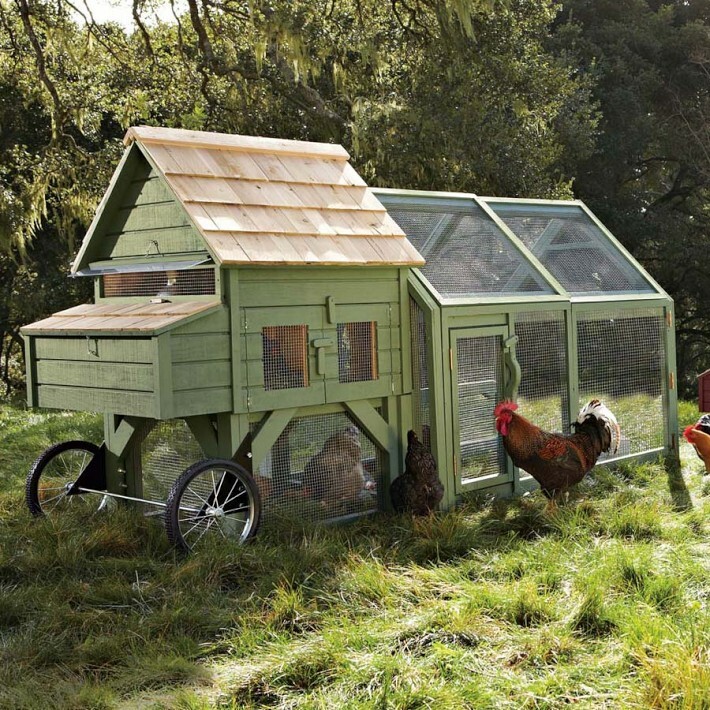 I really want a chicken coop! Now I've never lived on a farm or raised chickens or anything close to a chicken. We ended up giving them away! But just forget you heard that part of the story! Both of these are from Williams-Sonoma, but I'm sure I can persuade Mike to build one. Take a look at these-and you might have to have one too! Isn't this the cutest thing you've ever seen? I could just see myself in the morning collecting my eggs in a cute little basket, maybe wearing a little straw hat. I'm really kidding, when I say I see myself like that. I'm under no illusion that they're not a lot of work! But they're just so dang cute! 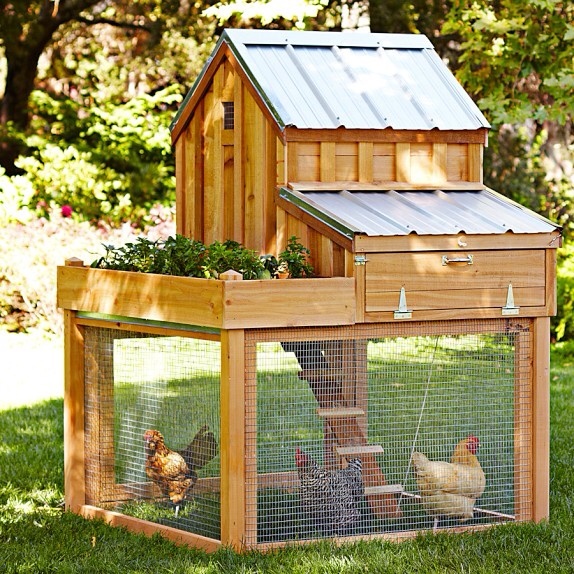 If you have a chicken coop and you're raising chickens I would LOVE to hear from you.